Anodizing is an electrochemical process that converts the metal surface into a decorative, durable, corrosion-resistant, anodic oxide finish. Although many nonferrous metals such as titanium, magnesium can be anodized, aluminum is ideally suitable to anodizing. The anodic oxide structure originates from the aluminum substrate and is composed entirely of aluminum oxide. It is quite different from the surface finish such as painting or plating, the anodic oxide is difficult to peel off or chip. Regarding to the porous structure and highly ordered, the anodic oxide can be coloring during the process. How to Anodize an Aluminum Prototype Part? Aluminum Rapid Prototype after anodizing can have longer life span, it can be increased resistance to wear and corrosion. Anodizing allows a stable color coating, the exterior anodic on aluminum is not easy to peel or chip. 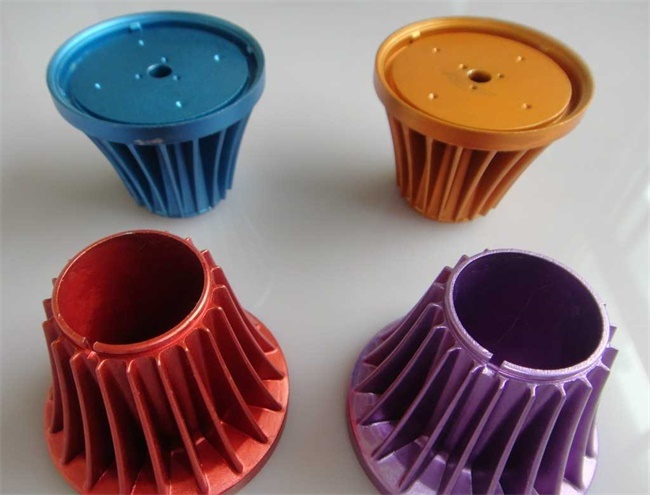 Anodizing provides good aesthetics to your aluminum prototype, a wide range of color can be available and allows the aluminum to maintain its metallic appearance. At TEAM Rapid, we provide one-stop service to accommodate your post finish such as anodizing, plating, painting, printing etc needs. No matter 1 Rapid Prototype or 100,000 production parts, we can provide consistent high quality workpieces to you. Contact our team at sales@teamrapidtooling.com and learn more about us.